If you want to adorn your dress or decorate a craft project and you are looking for sequins to buy then you are in the right place. 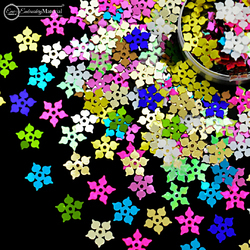 At embroiderymaterial.com you can find sequins for crafts, embroidery and jewelry making. You will find them in beautiful shapes like heart, round, marquise, rectangle, and more. They are available in gorgeous colors like gold, silver, white, blue, yellow, red etc.